HUGE PRICE REDUCTION! 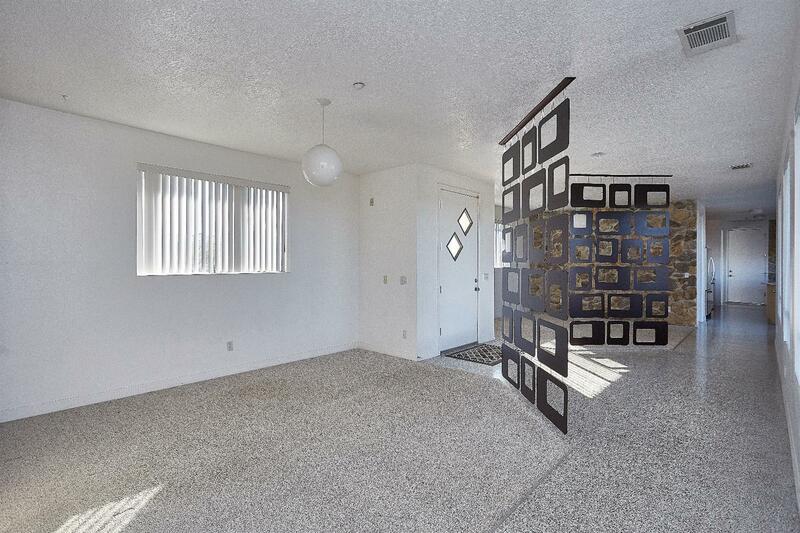 MUST SELL! 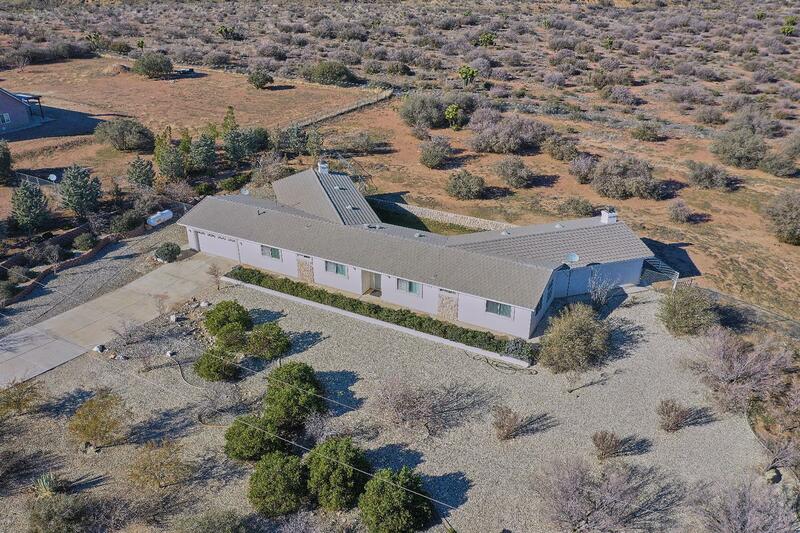 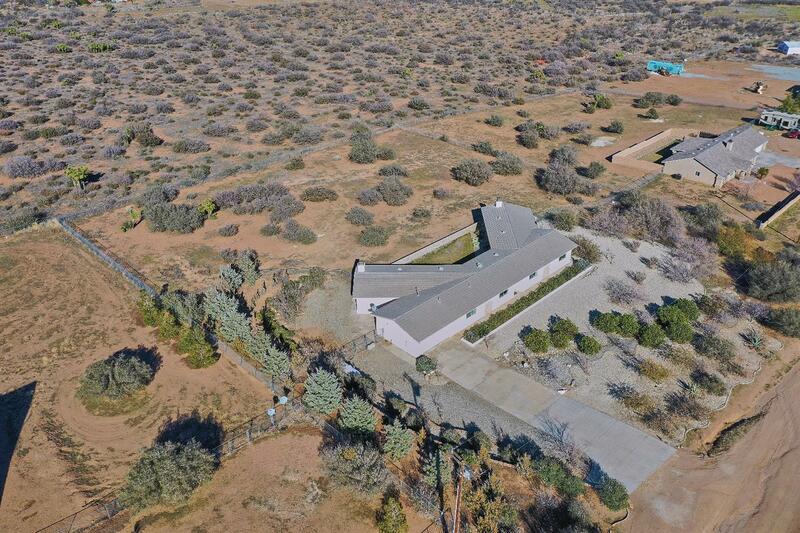 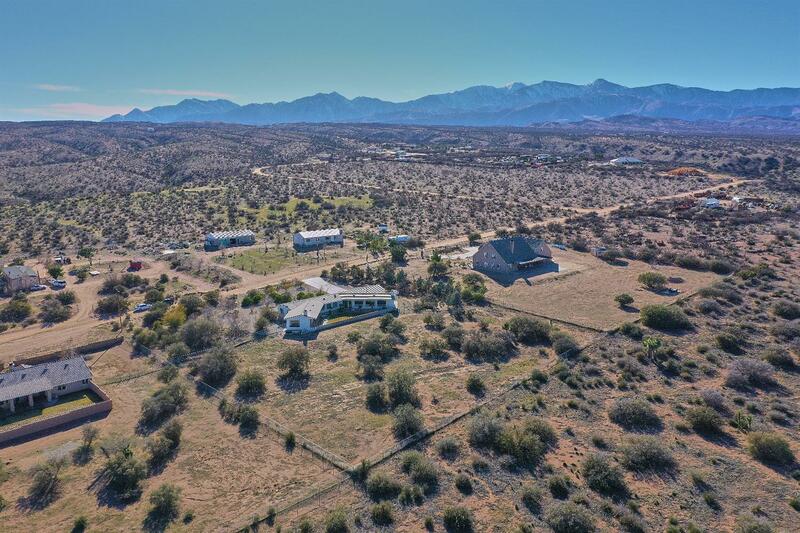 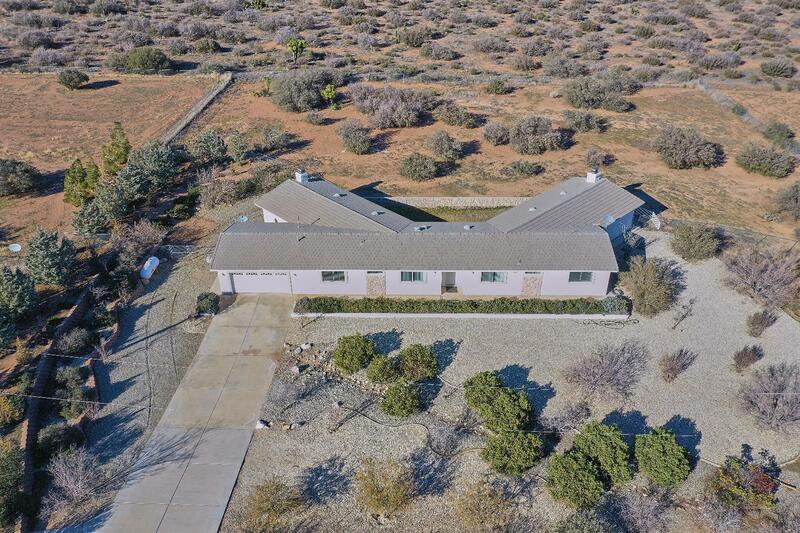 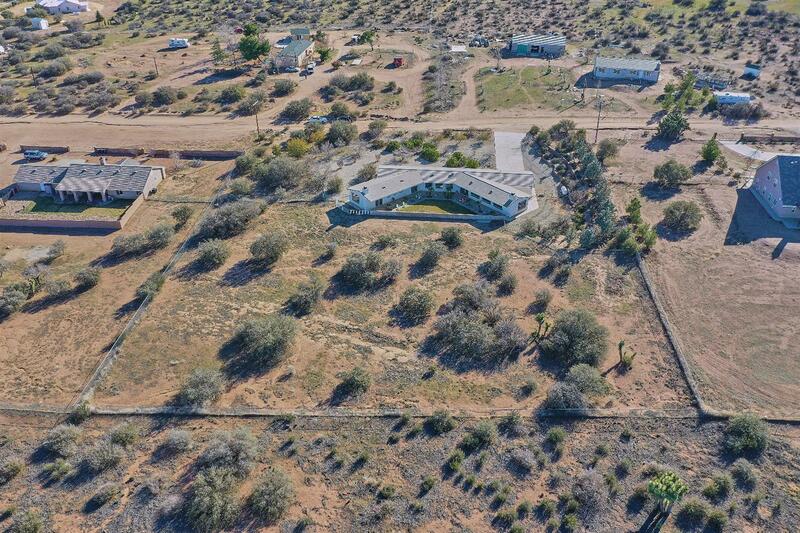 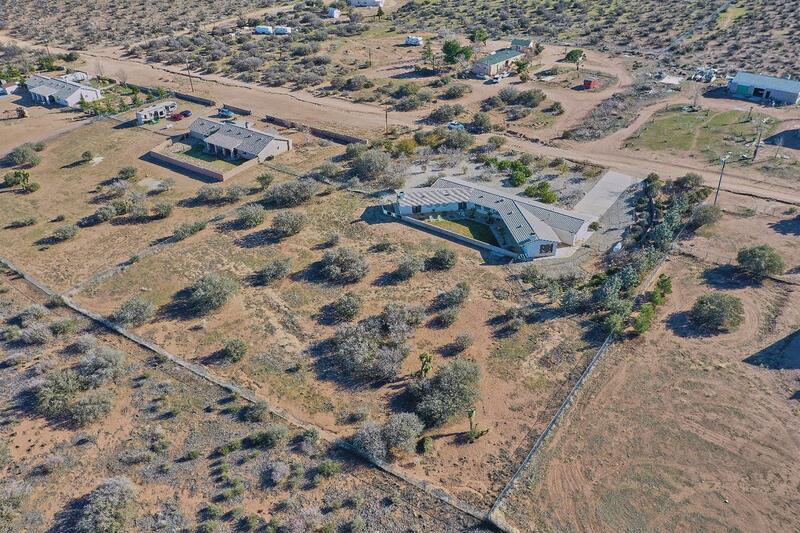 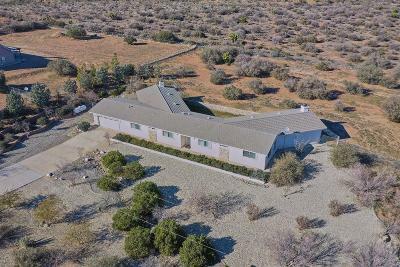 HORSE PROPERTY on 1.91 Acres and only .4 miles off Paved road. 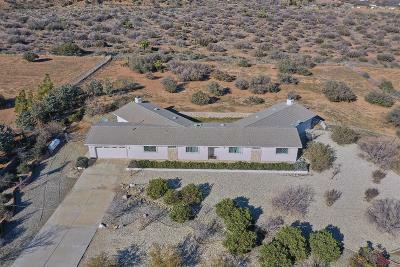 Don't miss out on this unique opportunity to your very own custom built home in Phelan! 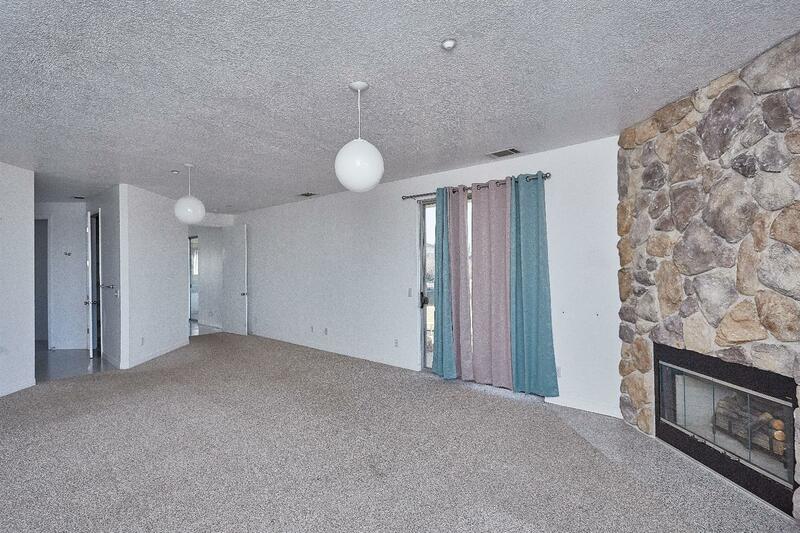 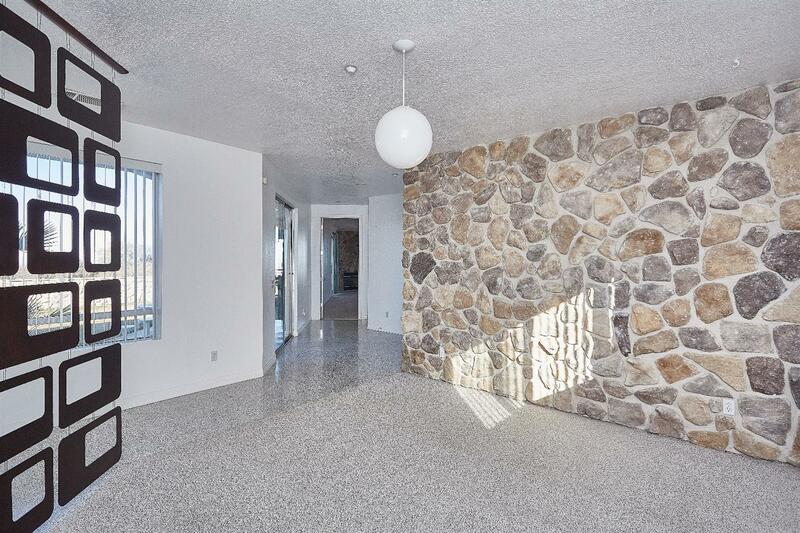 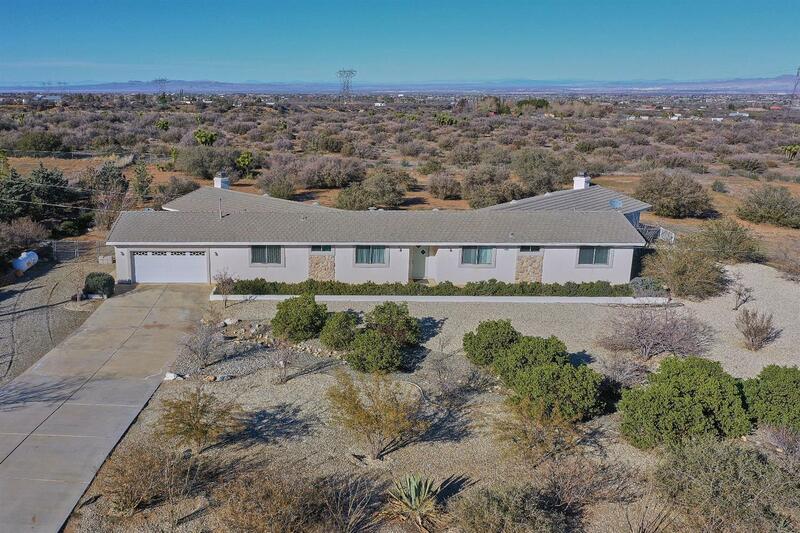 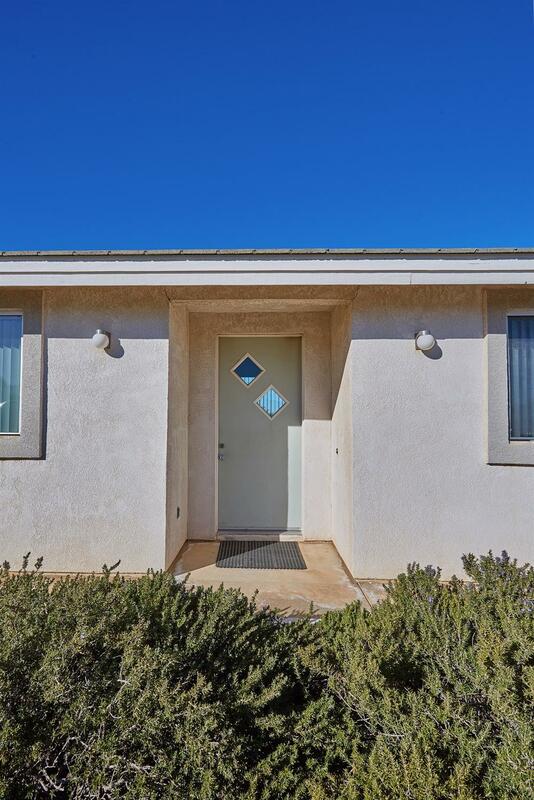 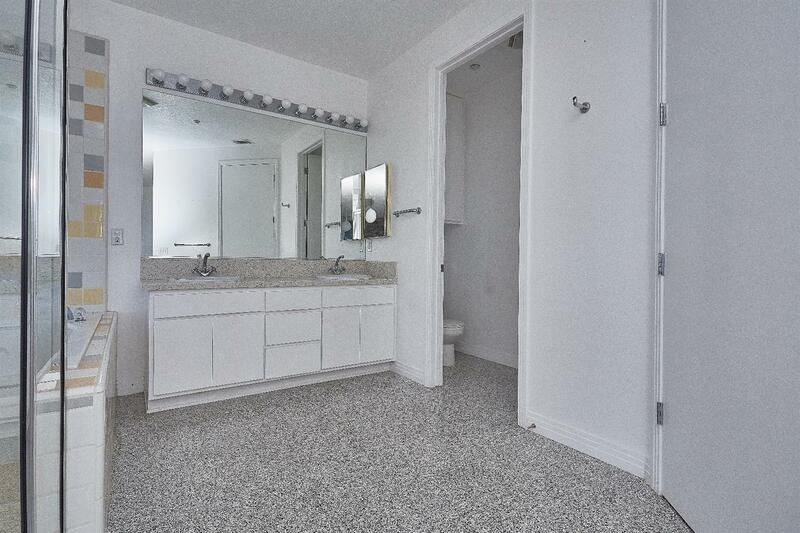 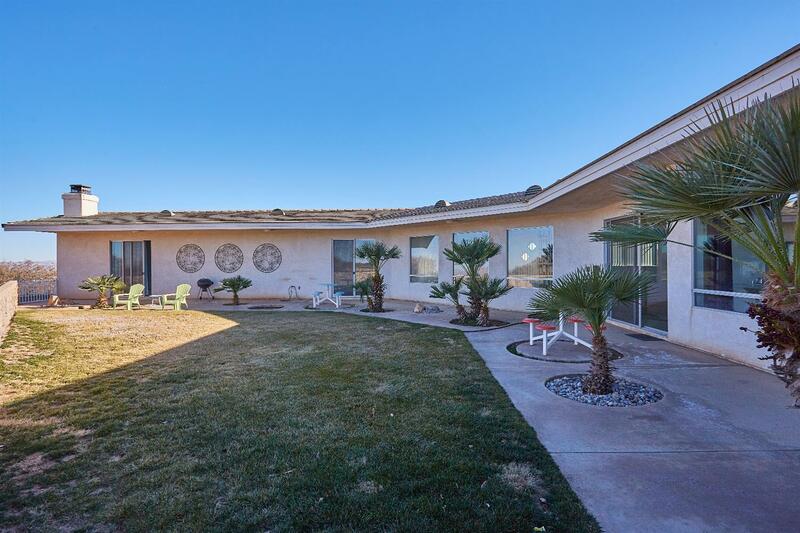 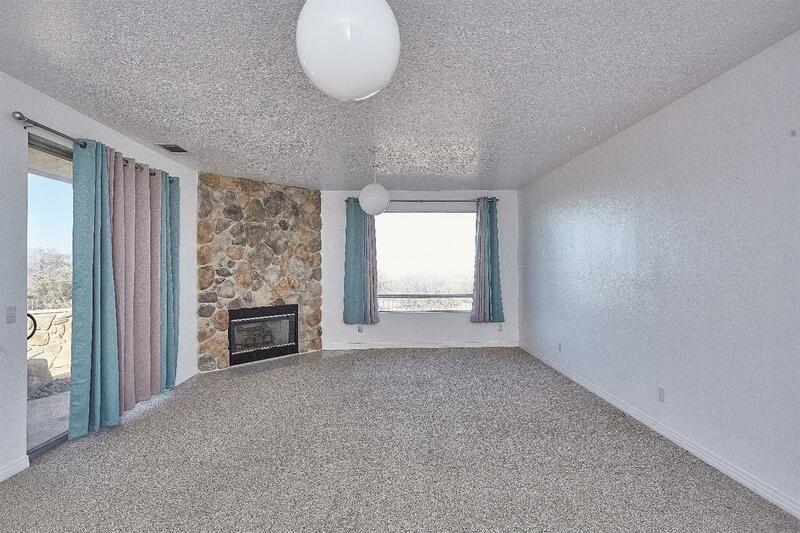 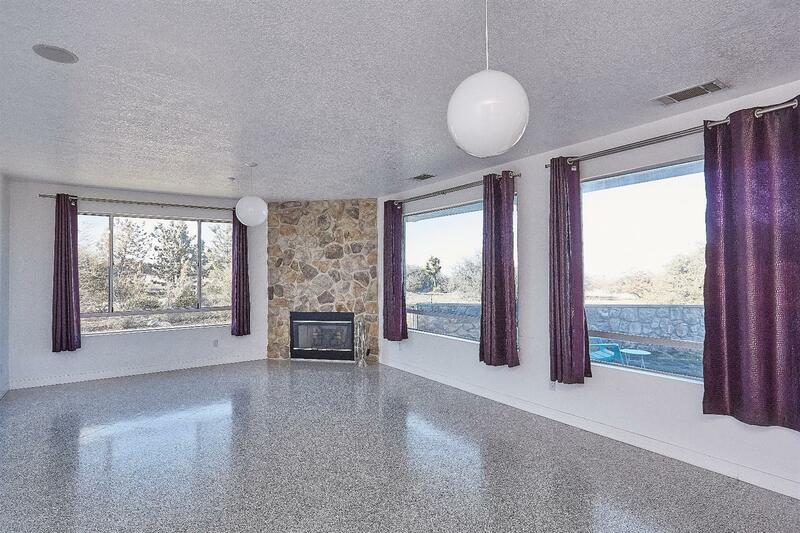 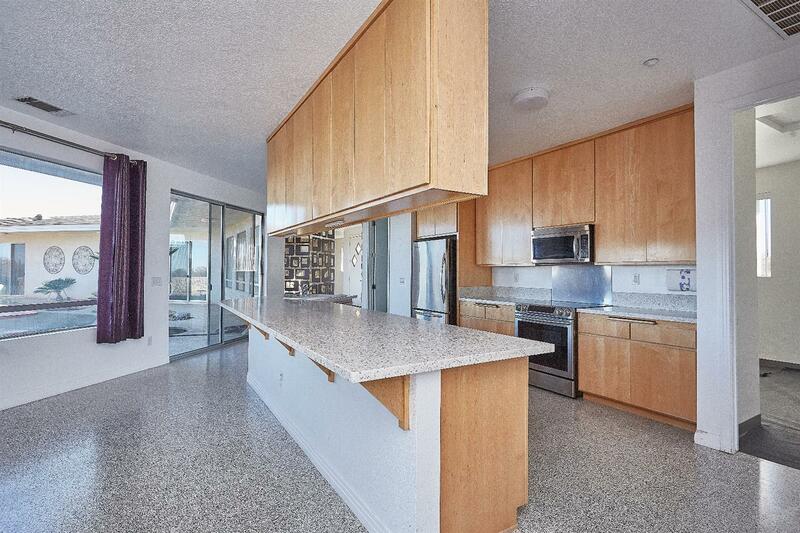 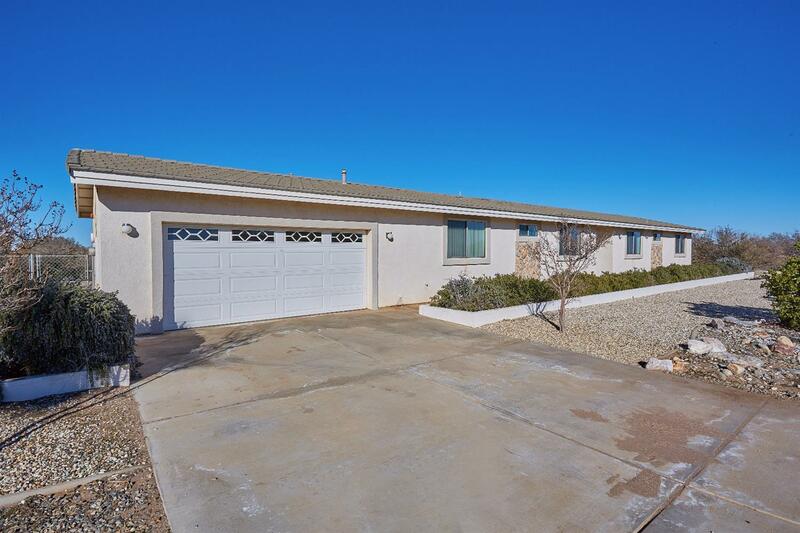 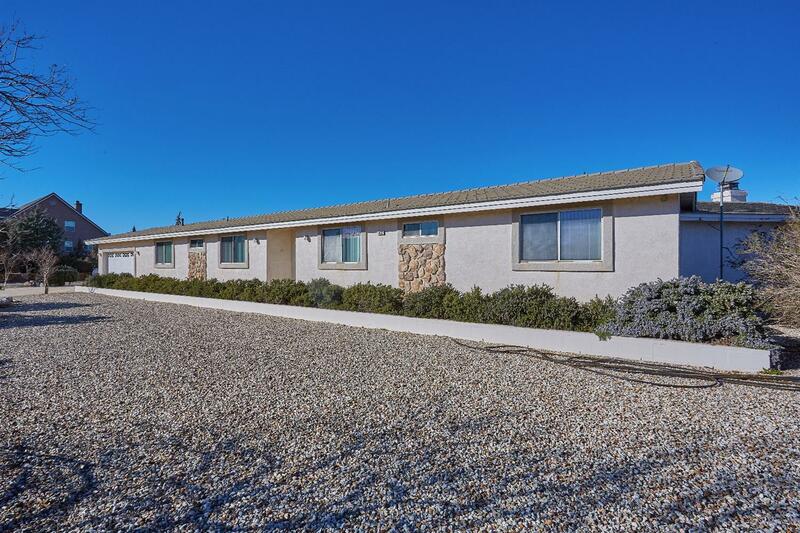 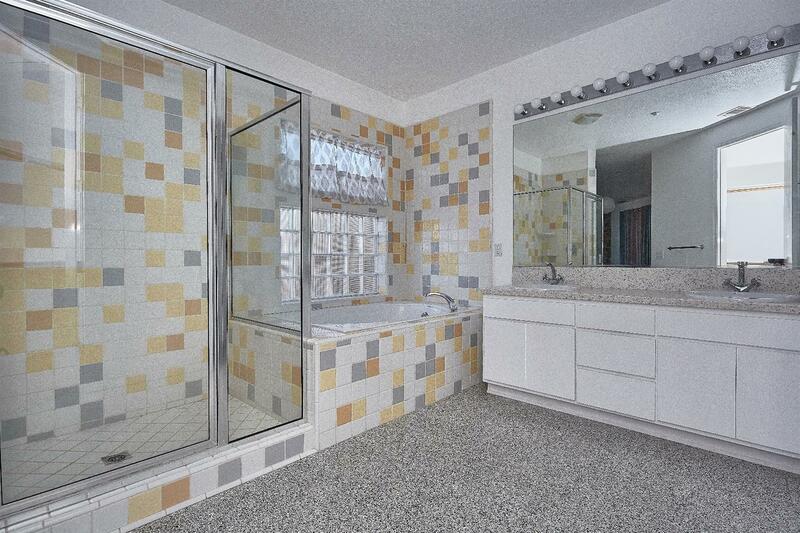 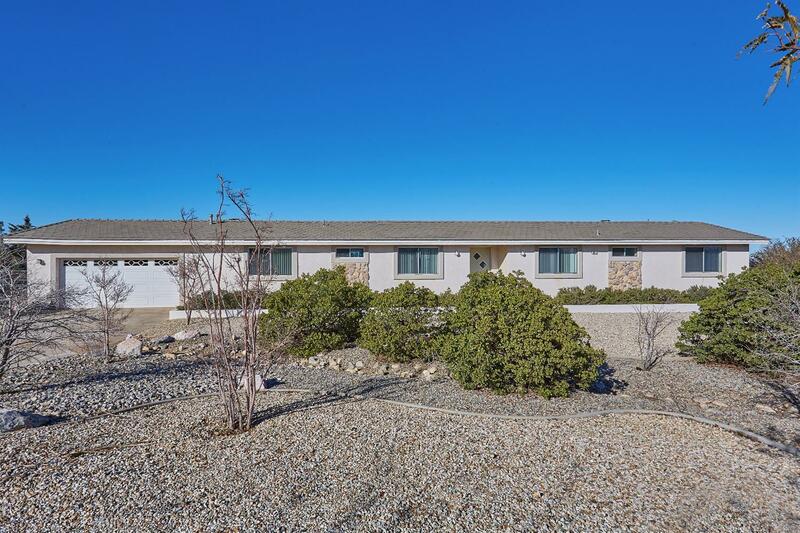 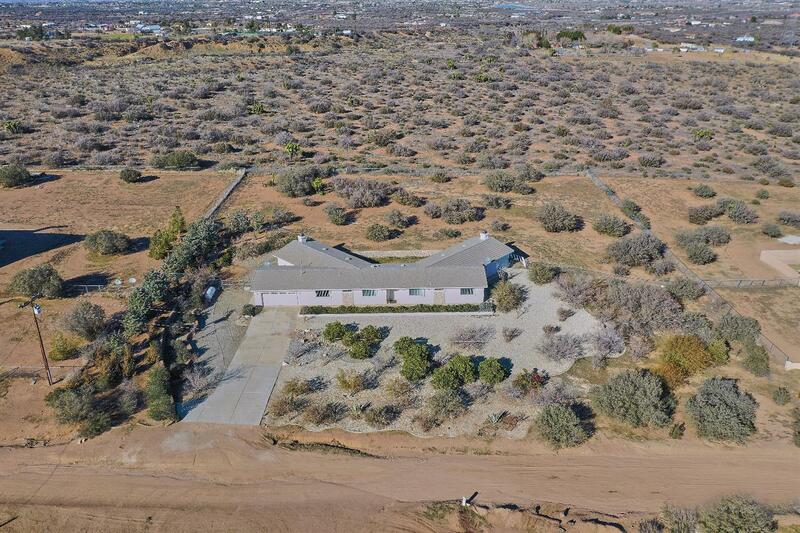 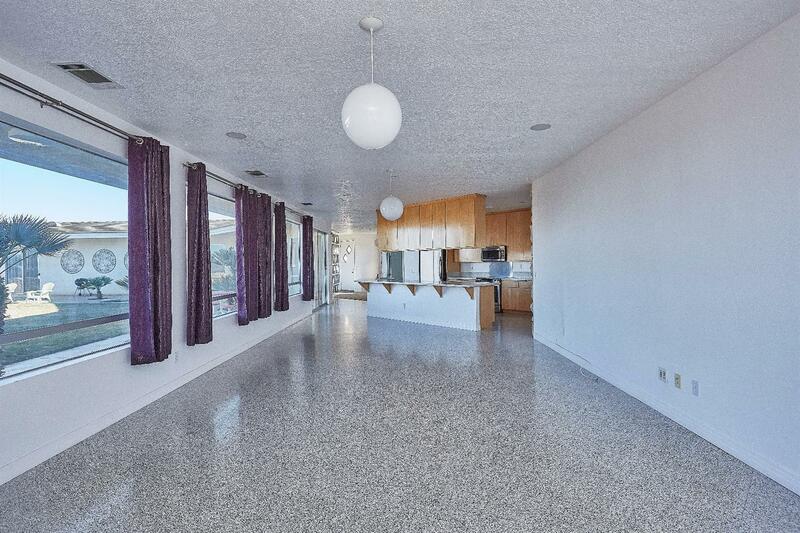 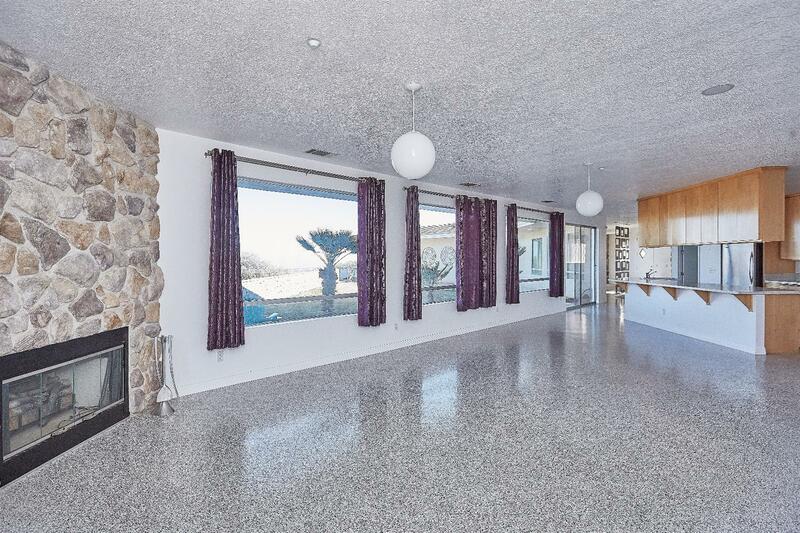 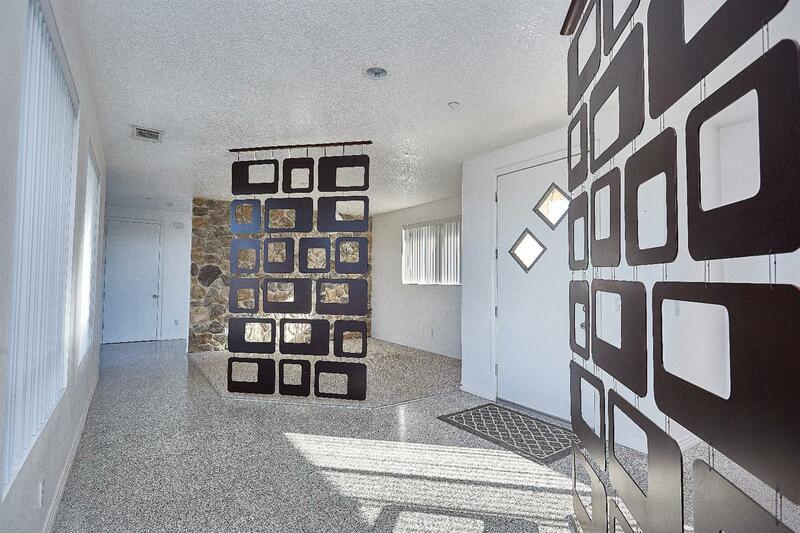 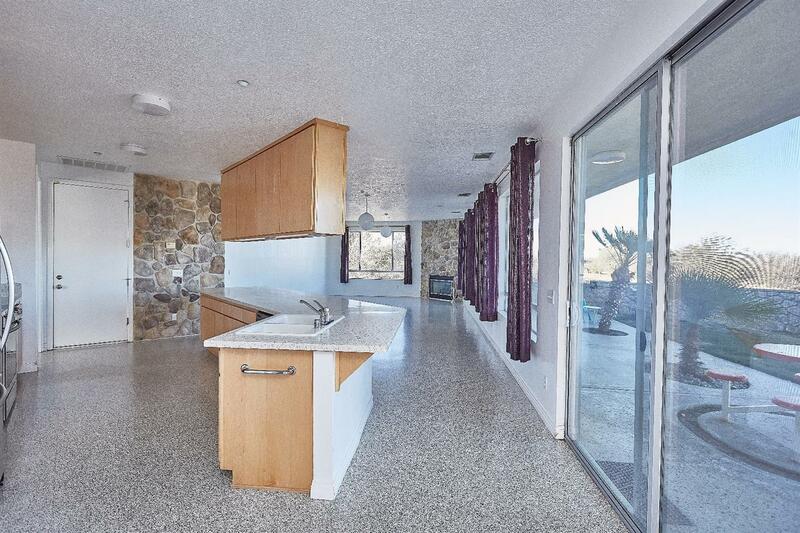 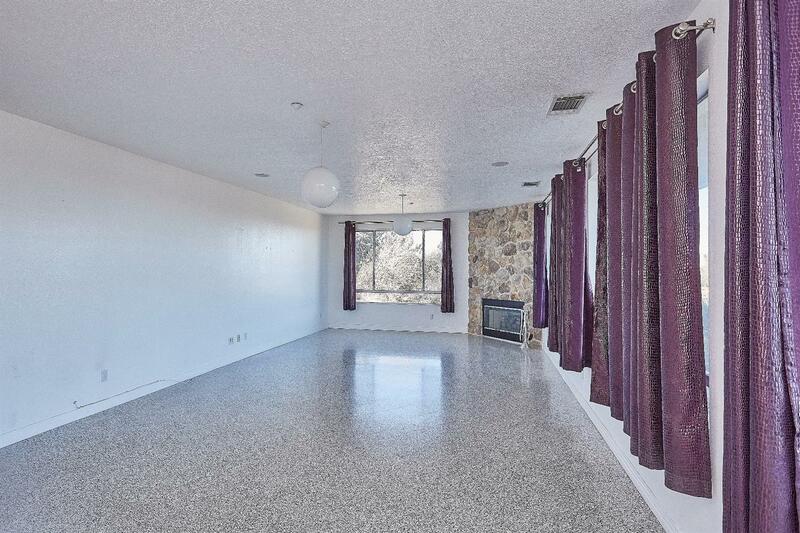 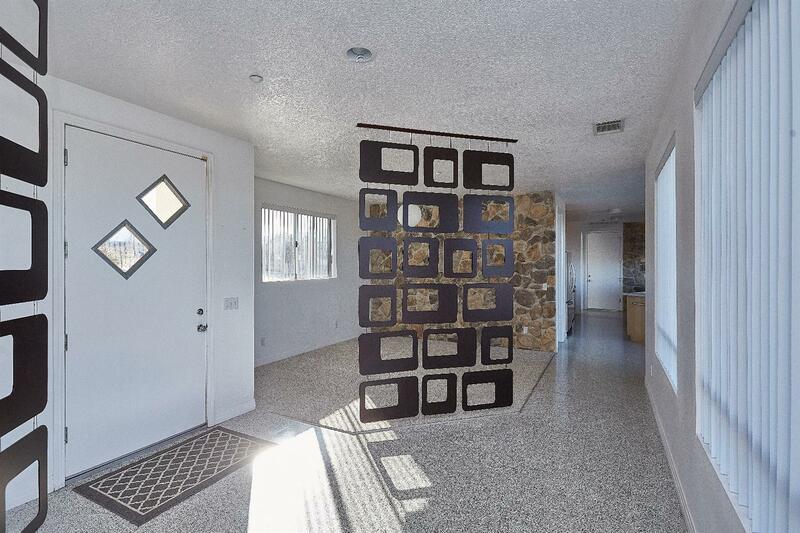 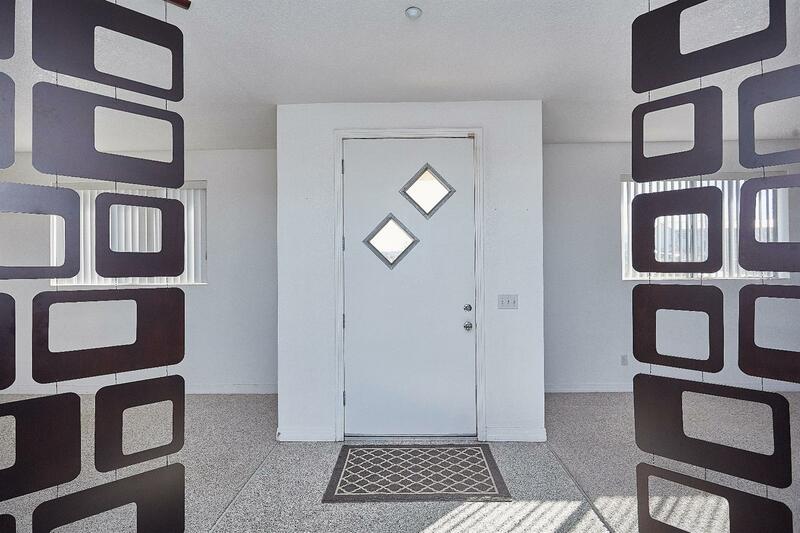 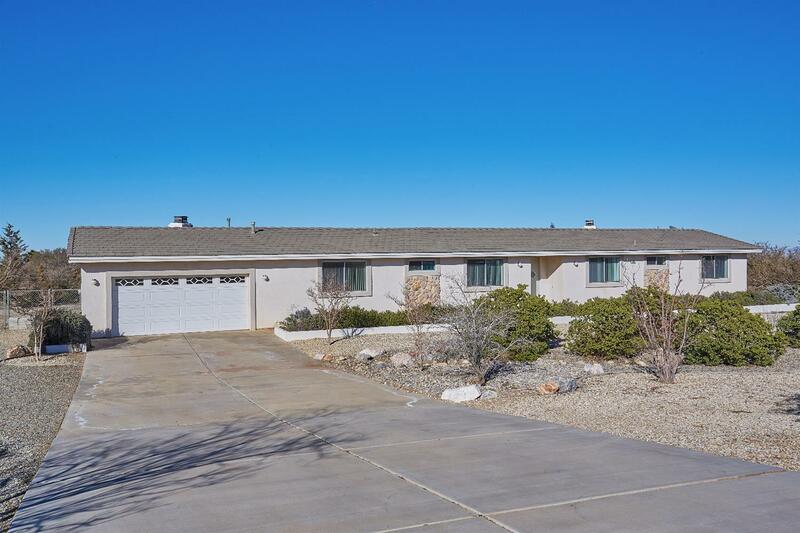 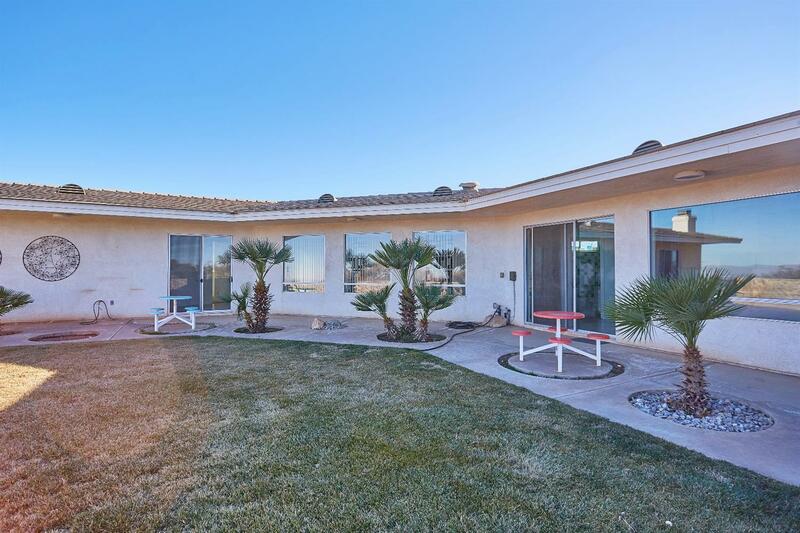 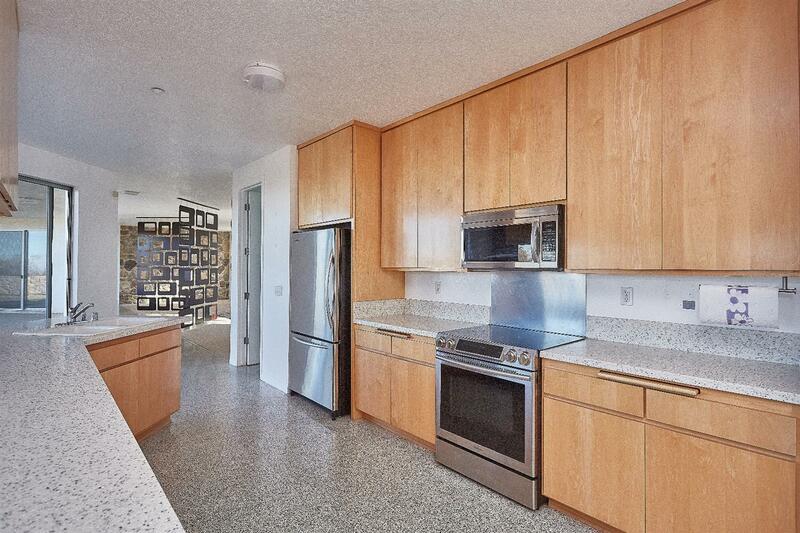 Mid Century Modern style home with wide open floor plan, 9-foot high ceilings and Terrazzo flooring throughout. 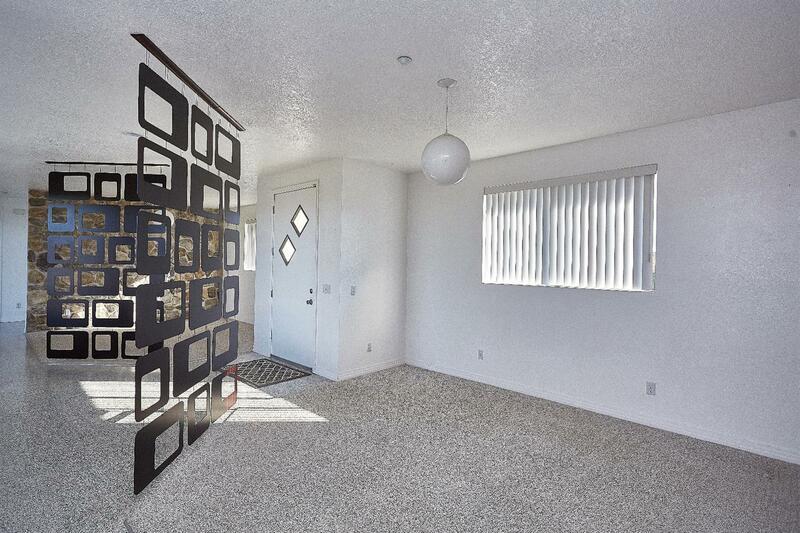 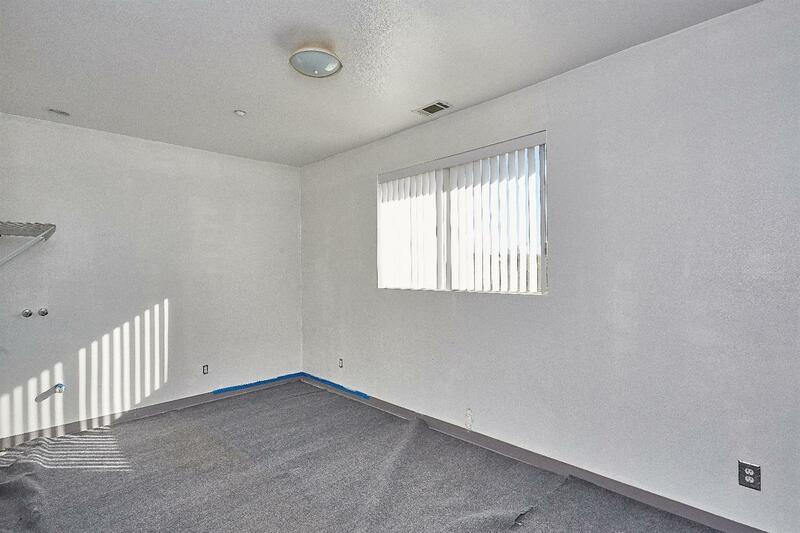 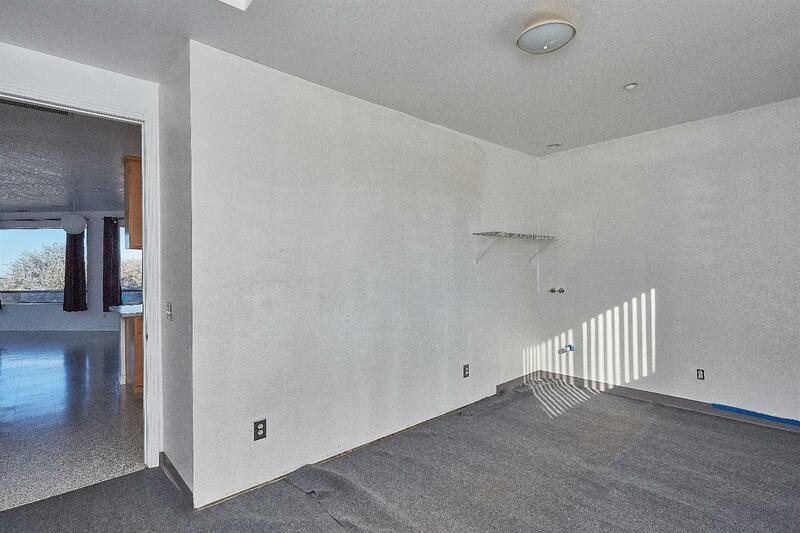 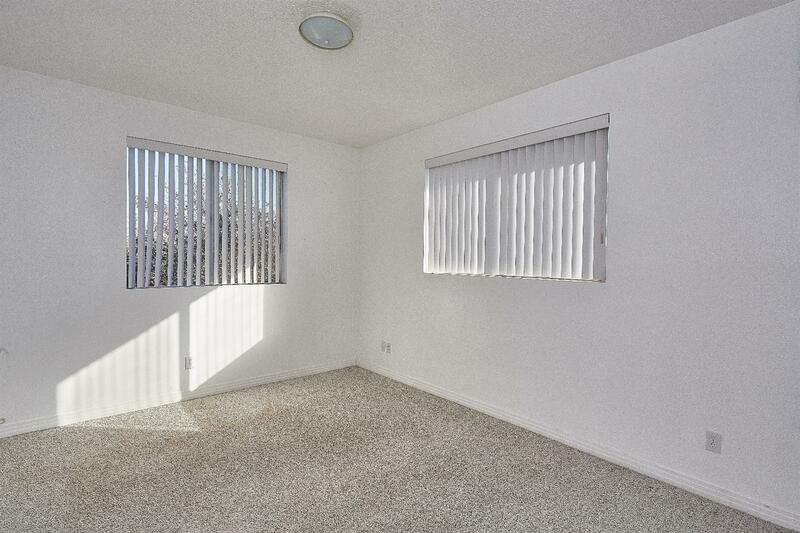 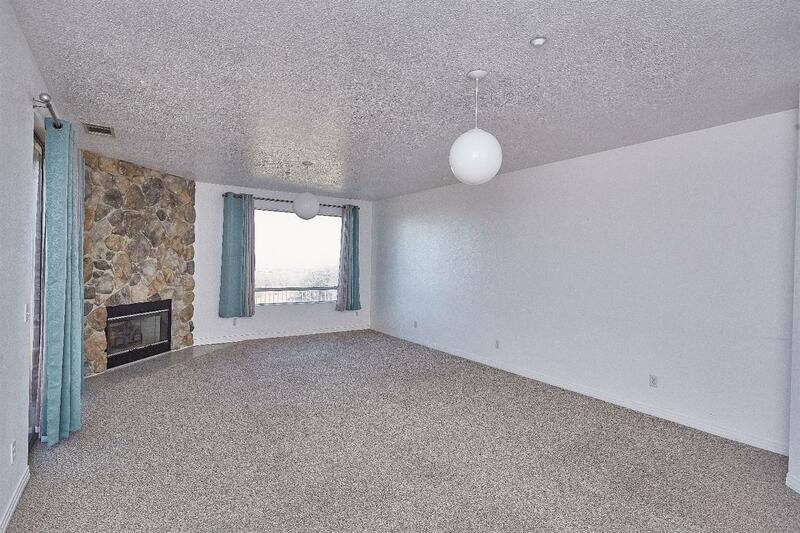 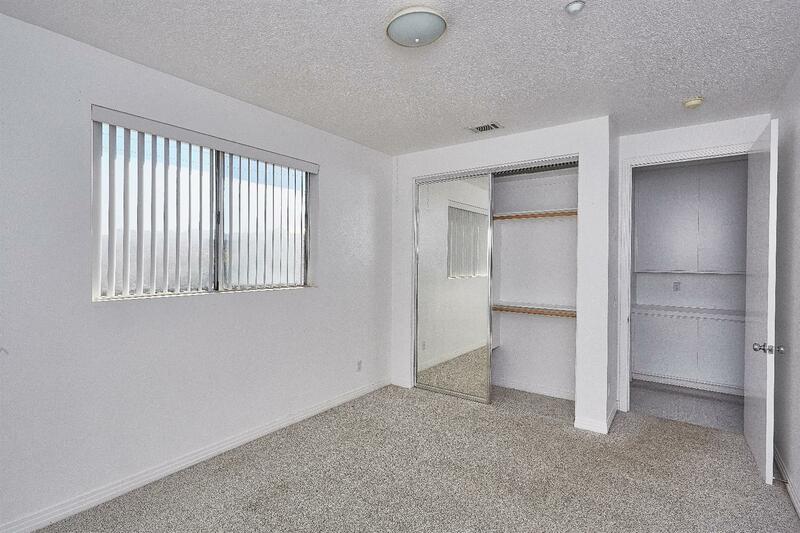 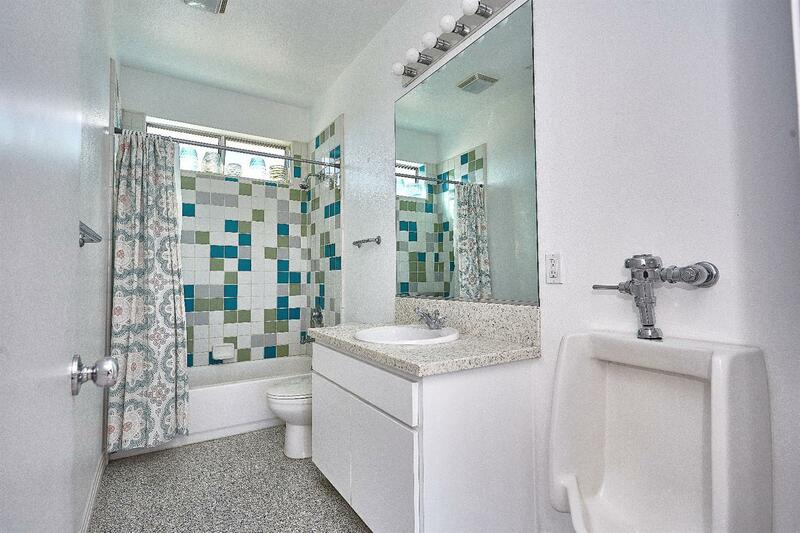 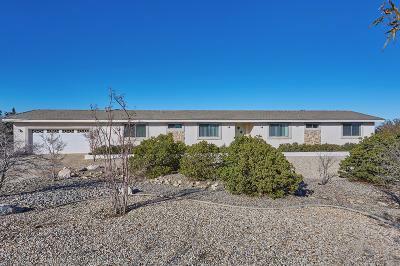 This 2-bedroom, Plus den (or additional Bedroom), 2-bath home boast many custom amenities not found in any other home! 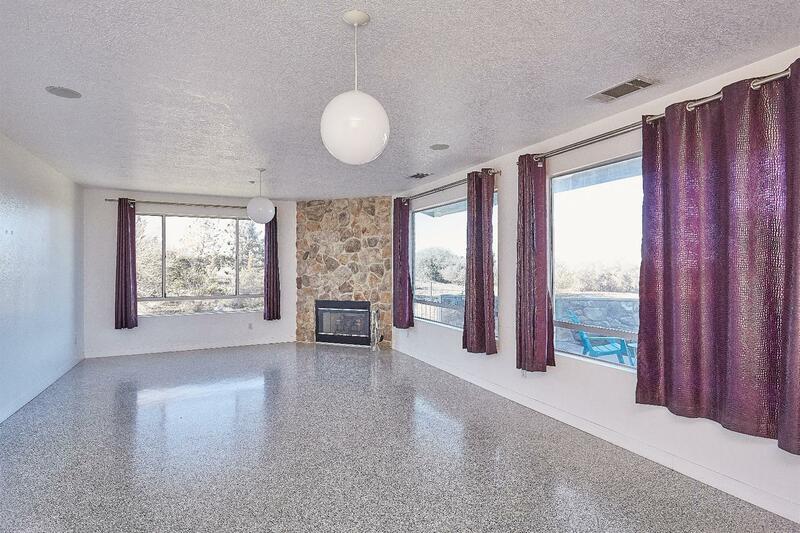 Plenty of natural light stream throughout the home, as you walk in to the foyer and be greeted with a formal living/sitting area and dinning area. 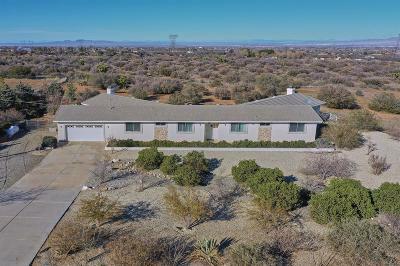 As you go to the left of the home, the open floor plan greats you with a large kitchen, with plenty of storage and counter top space, opening to the large family room, with fireplace. 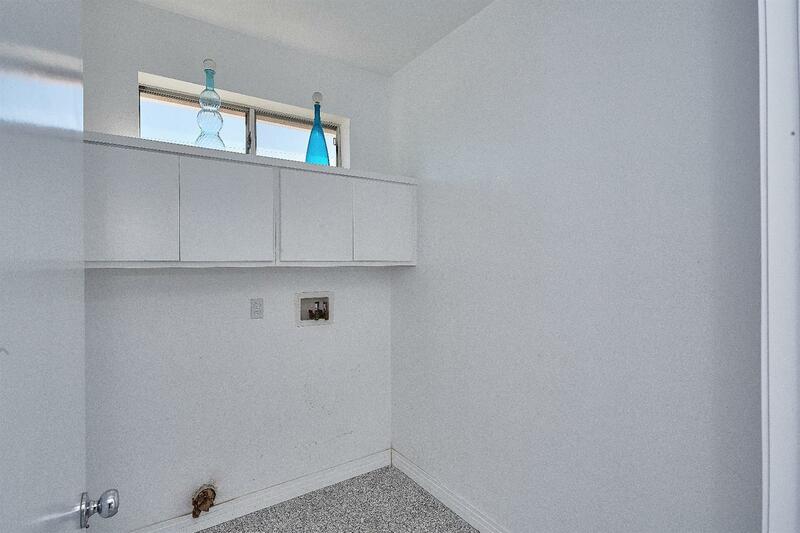 Cook in your kitchen with a view to the country side through the large windows. 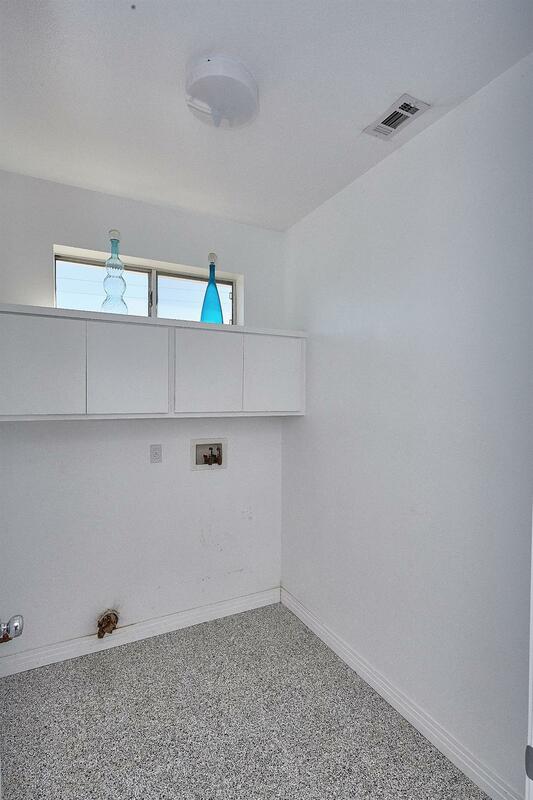 An extra room and garage access sit right off the kitchen. As you go to the right wing of the house, you will find the in-house laundry room, with storage space, the guest bedroom and bath, and the large, spacious master bedroom, with fireplace and 5-piece master ensuite, with large walk-in closet. 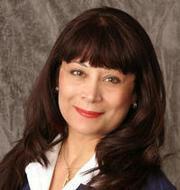 This home is awaiting your offer to start Short Sale Process. 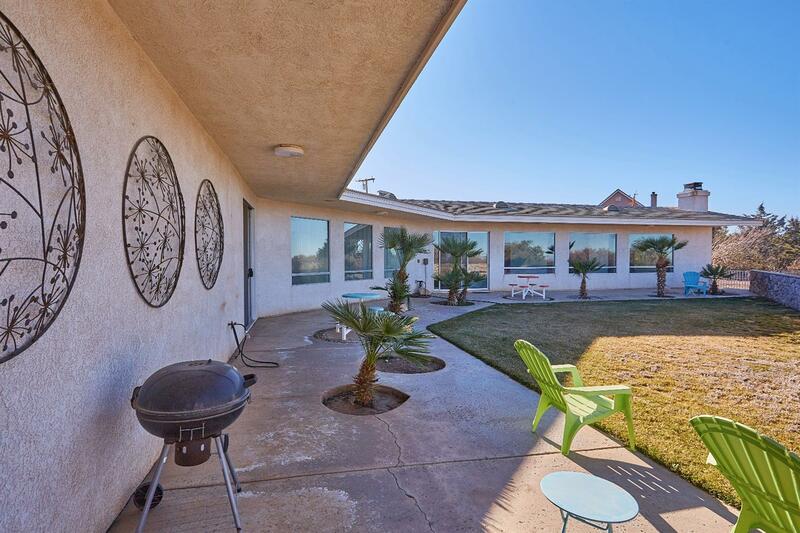 Bring ALL OFFERS!! 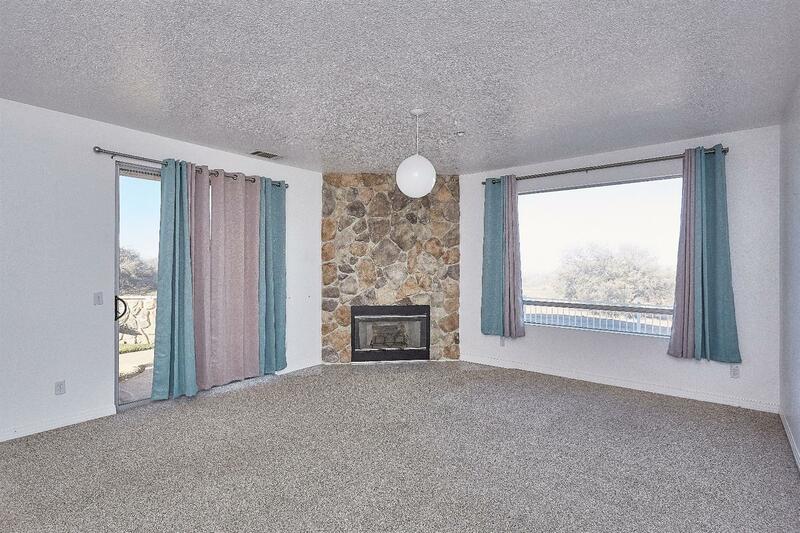 Appraised over $400k 2 years ago. Directions: From Phelan Road And Baldy Mesa, Go South Towards Mountains, Turn Right On Mesquite Rd, Turn Left On White Rd, Pavement Ends Into El Centro, Go Right To Address On The Right Side.